Shifters Unbound | Elaine Reads . . . constantly! Graham controls his Shifter pack simply by strength of personality. And boy, does he have a personality! Even for a Shifter lupine, he is growly. He is the leader, but to cement the pack he needs to find a Lupine female to mate with and have cubs to inherit the leadership. He needs someone who is strong and pure blooded to satisfy the members of his pack. So, of course, he falls for a human female. Misty has problems of her own. You would think that a human female involved with a Shifter leader that no one particularly likes would have enough problems. No, she has a baby brother that has served time and gotten involved with human criminals that make the Shifters look easy going. So, she is trying to protect Graham from the human bad guys and Graham wants to protect her from his pack. You know, of course, they are mates. I mean, how else could it go? Of course, Graham doesn’t always show the most sense either. “And you’ve been shot.” Misty touched his arm, finding his skin hot and slick with sweat. Misty is responsible for her younger brother, but Graham has his own responsibilities as well. There is Dougal, his nephew, who has just come through transition and, to me, the stars of the book, Matt and Kyle. Matt and Kyle are three-year-old wolf cubs that Graham is raising. And they are special. Even more special than Graham and Misty realize. The first time I read this book, I knew it was good. I didn’t realize it was great until the second time through. I don’t know what made the difference, but this is one of my favorites of the series. And on that note, this is a series. Do not read them out of order and do not try to read any of them as a standalone. It will not work. You NEED to read them in order. Really, you have to! Luckily, they are so good that is not a problem. At 153 pages, this story is far too short. Yes, it is listed as a novella, but I wanted more. Jace deserved more and that is the only reason the book received four stars instead of five. Okay, I have that off my chest. I originally read this book when it was released back in 2014. 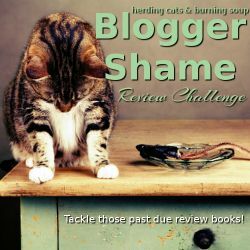 For some reason, I was going through a bad time and reviewing books fell by the wayside. That was unfair to some really great books and I am trying to catch up on some reviews that should have been done a long time ago. 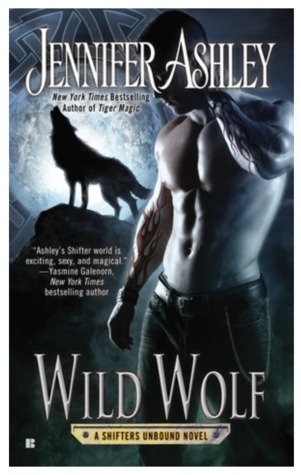 Other than the relationship between Jace and Deni, this book focuses on removing the shifters’ collars. Can it be done? Should it be done? Some of the shifters are not to be trusted without the collars. It kind of makes me wish we had something similar for some humans I know. Jace is able to mute for lack of a better term the pain from the collars, so he has volunteered to see if his can be removed without him going insane or dying. Unfortunately, he pays for his ability to suppress the pain and it is agonizing. Deni has her own set of problems. Deni was seriously injured in a previous book and although she has recovered physically, she still has emotional issues that make her susceptible to going feral. She doesn’t think she has anything to offer a mate and is afraid of injuring or killing anyone who gets too close to her. Add to both of these issues is the fact that Jace is from Las Vegas and Deni lives in Texas. Shifters are not allowed to visit between Shifter Towns, much less move without human permission. Does it work out? Of course it does. This is a romance after all. The getting there though! They have to go through so much and it’s not just the collars and human law, it’s their own nature. This is NOT a standalone book. I really don’t think any in this series should be read out of order. Even then, there is so much going on with so many different characters, I can find it hard to keep straight. It’s worth it though. I love this series even if I hurt for the Shifters sometimes. Jennifer Ashley (AKA Allyson James, AKA Ashley Gardner) is a wonderful author. It doesn’t matter if she is writing historical, paranormal, or science fiction, I love her books. I discovered her Tales of the Shareem years ago, lucked into the Mackenzie series much later, and most recently found the Shifters Unbound. I have read many, many Shifter books, so I am very familiar with the genre. Ashley, however, has managed to give it a twist that keeps it fresh. And Tiger Magic is the most unique (and yes, I know that is poor grammar, but it really is) of them all. Tiger (that’s his only name) was introduced in Mate Claimed. He was rescued from a human compound where he had been kept captive in a cage for forty years. He suffered torture and experiments his entire life which makes him unpredictable. Even the other Shifters are nervous around him. Except for the cubs . . . the cubs love him. Enter a human female with no experience with shifters, so of course they are mates. Tiger’s tragic background makes me cringe, but the book does not dwell on it. It’s not just about him overcoming his past or dealing with current problems. There is happiness and humor and that is all because of his human mate Carly. She comes to love him and is just as protective of him as he is of her. Tiger knows after only one night together that Carly is pregnant. She is on birth control, so she doesn’t think it’s possible, but . . .
Shifter sperm, especially Tiger’s, was probably stronger than a human’s. Even if her birth control was meant to keep eggs from falling where they could be fertilized, she wouldn’t be surprised if one of Tiger’s sperm had found one and dragged it out of hiding. I read this book when it was released in 2013, but failed to review it. It deserves a review. In an already wonderful series, it stands out as exceptional. Try it and be sure and read the others in the series as well. It really is a series that needs to be read in order. I love Shifter books and I love Jennifer Ashley books, so this series is a match made in heaven for me. And Rae, Guardian Shifter, and Zander, Shifter Healer, are mates chosen by the Goddess. However, that doesn’t mean they aren’t hard to convince. Zander is a loner. He has friends, but mostly he stays by himself. It’s necessary for him to recover whenever he heals a shifter. Rae, however, comes from a loving family in a Shiftertown. They are her adopted family and feline where she is lupine, but that doesn’t mean they don’t love each other. She wants and needs to be part of a pack. So, of course, she ends up dumped on Zander’s boat in Alaska. Did I mention she’s from Montana? At least she’s used to the cold. He’s angry to have her forced on him. She’s angry that she’s been exiled from her family. So they take it out on each other. Obviously, they were meant to be mates. This is not meant to be a humorous book. It is a drama, an adventure, a mystery, AND has some really funny scenes. Just when you think things are getting too intense, Zander will do or say something to lighten things up. I really, really love Zander. Like all the books in this series, characters from previous books make an appearance. I can’t imagine reading them out of order. If you haven’t read any of them before, you’re in for a treat. I definitely need to do a straight through read of the series again. One character that we had not met before is Jake. I love Jake. I’m not going to say anything more about him, but he is totally unexpected and integral to the plot. As you can tell, I love this series. They are not necessarily happy books, but the couples all have a happy ever after. Read them!